Following exclusive access to Jürgen Klopp's friends, family, colleagues and players, acclaimed football writer Raphael Honigstein goes behind-the-scenes at Liverpool, Dortmund and Mainz to tell the full story behind the manager bringing the noise to Anfield. 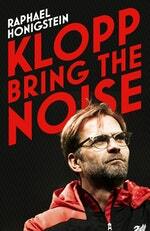 Love Klopp: Bring the Noise? Subscribe to Read More to find out about similar books.